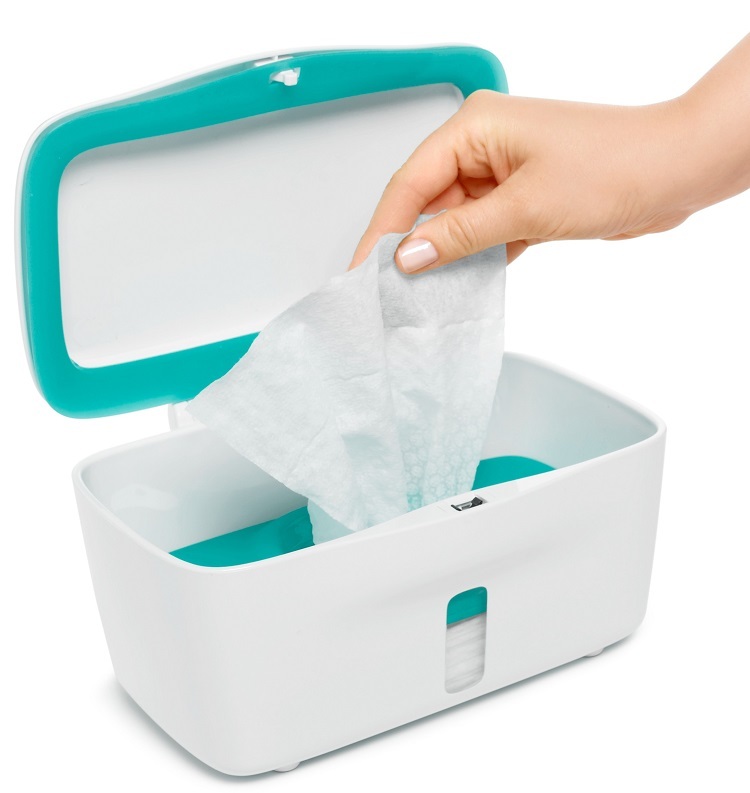 OXO Tot PerfectPull Wipes Dispenser keeps wipes fresh and dispenses smoothly for one-handed use. Easily keep one hand on wriggly tots while using the other to grab a wipe. 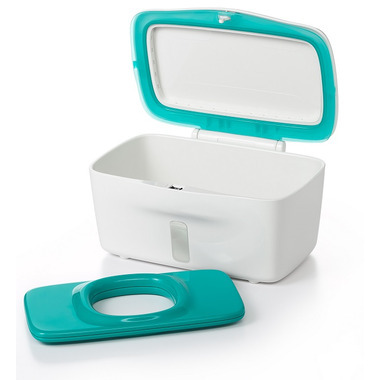 The weighted plate dispenses one wipe at a time and the silicone gasket keeps wipes fresh and moist. 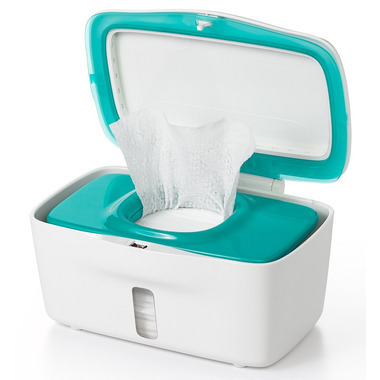 The weighted plate and non-slip feet both help keep the dispenser in place on your changing table or on top of the toilet tank when your little one transitions to flushable wipes. A clear front window lets you know when it’s time to stock up on more wipes, polished plastic is easy to wipe clean, and its sleek white design goes with any décor.